TORONTO - Kinross Gold Corp. (TSX:K) is forecasting a 20 per cent rise in gold production in 2008 and plans to spend US$600 million to grow several projects, including the Kupol mine in Russia that was obtained in the acquisition of Bema Gold last year. But those numbers failed to impress everyone as UBS lowered its 2008 and 2009 earnings forecasts for the major mining company. And on the TSX Friday afternoon, Kinross stock traded at $20.64, down 80 cents or 3.7 per cent on a volume of more than 5.5 million shares. In the capital budget, about US$425 million relates to growth initiatives, including US$190 million for the Paracatu expansion in Brazil, $100 million for the Kupol project and US$27 million for the Buckhorn project in the United States. The major Toronto-based miner said Friday it expects to produce 1.9 million to two million gold equivalent ounces this year and 2.5 million to 2.6 million ounces in 2009, a 60 per cent increase over 2007 production. 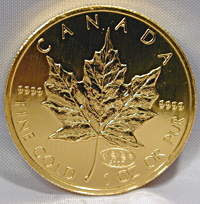 In 2007, Kinross produced about 1.6 million gold equivalent ounces, in line with its forecast. "The strengths of Kinross this year will be Kupol coming on and the Paracutu expansion, which has been an ongoing thing in Brazil," said analyst John Ing, president of Maison Placements in Toronto. "Kupol is why they bought Bema. Unquestionably, that's going to be a crown jewel - it was virtually built when they acquired Bema, so therein lies the growth." CEO Tye Burt said 2008 will be "an important year of transition at Kinross" as it brings all three of its new, lower-cost development projects into production on schedule. The firm said it expects its full-year average cost of sales for 2007 to be at the high end of, or slightly above, its previously stated cost-of-sales guidance range of US$355 to $365 per gold equivalent ounce. "We expect our costs to decrease significantly over the course of 2008, especially in the fourth quarter, as the new projects reach full production," Burt said in a statement. "In 2009, we expect to reap the full benefit of the transformation in our production and cost profile as our three new projects operate at full capacity for the entire year." UBS analyst Tony Lesiak said the company's production outlook was "modestly lower" than his expectations, "largely as a result of more conservatism at Paracatu and Kupol." "Fort Knox (in Alaska) and Round Mountain (in Nevada) are also beginning to show their age," Lesiak said in a note to clients.